Samsung has announced a new Galaxy A80 smartphone, with a unique rotating front camera. In the race to remove the notch from the front of phones, the Galaxy A80’s design is a serious departure from other phone designs. 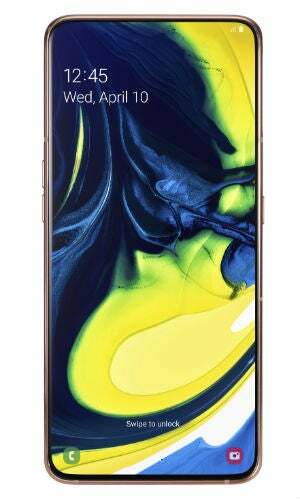 At swish events held simultaneously in Bangkok and Milan, featuring cult K-POP band Blackpink, Samsung debuted the unusual new A80 along with other models from its mid-range Galaxy A series. The big question remains, is that rotating camera just a gimmick, or could it be the future of phone cameras? 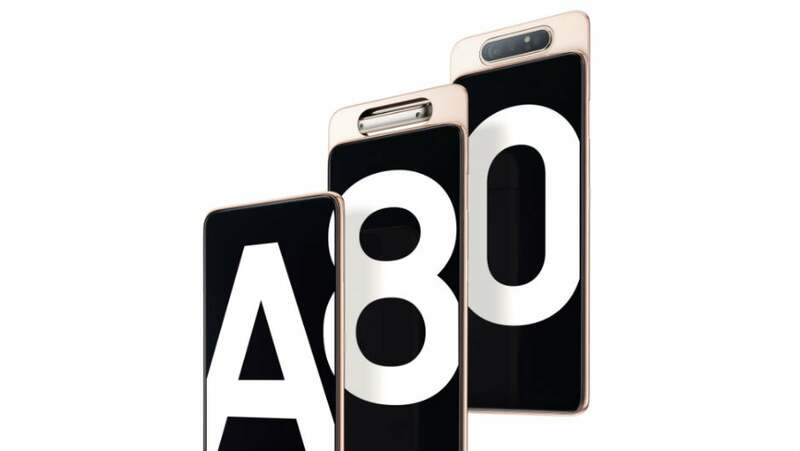 The Samsung Galaxy A80 looks set to be one of the most unique phones to come from a major manufacturer this year. There’s no camera notch, or even a punch hole. Instead, the A80’s cameras rotate, depending on whether you’re after a selfie or regular rear-facing shot. You can see what it looks like in action, right. The A80 uses three cameras – a 48Mp main lens, an 8Mp Ultra Wide lens, and a depth-sensing camera for those live focus effects. The rotating camera will take the headlines, but there’s more to the A80 than an unusual camera set up. 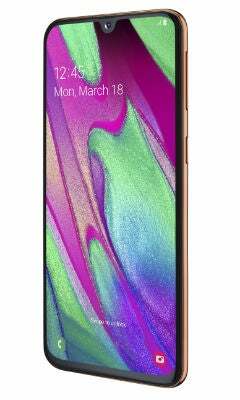 The new Samsung A80 sports an enormous 6.7-inch display, with a 1080×2400 resolution. It doesn’t use the same Dynamic AMOLED tech found on the latest Samsung S10 range. Instead, it opts for Super AMOLED screens, as seen on the older S9 and Note 9. Don’t let that put you off, though – the S9 and Note 9 both have incredible screens. The A80 gets a full 8GB of Ram, which should be plenty for playing games and split-screen multitasking. However, Samsung gave us no word on processors. The A80 has 128GB of storage. But, unlike most other Samsung phones, the A80 doesn’t support expandable storage, so you can’t add a memory card. It also gets 25W fast-charging, but Samsung didn’t mention whether it’d get the same wireless power-sharing we saw on the S10 and S10+. Tempted? You’ll have to wait a little. 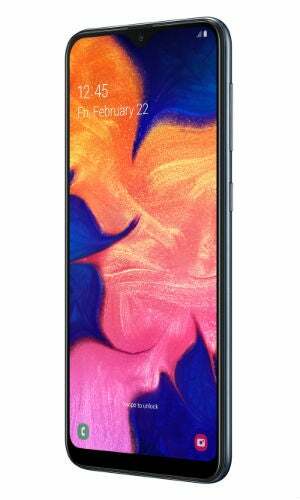 The A80 will hit the shelves on May 29, but Samsung gave no word on price. The A10 is set to be Samsung’s cheapest phone, although we don’t have a definitive word on price, yet. It uses a 6.2-inch, 720×1520 resolution, TFT screen — that’s pretty low-rent tech, but the A10 should be a very cheap phone. It uses a 13Mp rear camera and 5Mp selfie camera — no spinny lenses here, sadly. A paltry 2GB of Ram will restrict you to the basics. But, you do get facial recognition tech and a decently-sized 3,400 mAh battery. The A20 looks like a big step up from the A10. 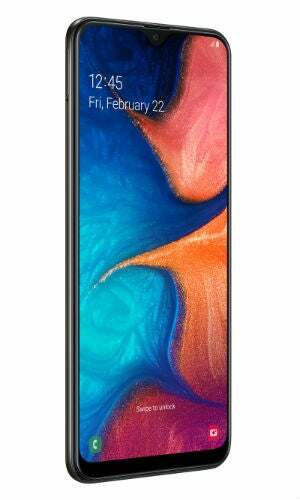 It features a 6.4-inch HD+ Super AMOLED display, although the resolution remains relatively low at 720×1560. You get dual rear cameras, with a 13Mp main lens and a 5Mp Ultra Wide snapper, for good measure. Round the front, you get a single 8Mp lens, which supports facial recognition. The Ram figure has been stepped up to 3GB, compared to the A10’s lowly 2GB. You also get a larger 4,000 mAh battery, which should be good for over a day’s battery life. The Samsung Galaxy A40 looks set to be a very strong low-to-mid-range phone, if the price is right. It features a 5.9-inch Full HD+ Super AMOLED display, meaning you’ll be able to watch 1080p content. It’s small notch features a 25Mp selfie snapper, while you get two rear cameras — a 16Mp lens and a 5Mp Ultra Wide lens. The battery is smaller than on the A20, at 3,100 mAh, but the smaller screen should help it stay charged-up for longer. You also get 4GB of Ram, 64GB of storage and support for up to 512GB Micro SD cards. Again, there was sadly no word on price.